Saddam Hussein was not an angelic character, evidently. He did things while in power that could not have sat very well with his maker. But while he definitely showed a negative influence on his people, he was also a positive presence where matters of security and development were the issue. Saddam actively fostered the modernization of the Iraqi economy. He showed that he cared sufficiently to protect his people from what he perceived as their enemies, and also allow for their development. Clearly, he did apply the wisdom a government that invests in its people cannot go wrong. He is on record making efforts to rescue them from squalor, to move them from the stone age into modernity that were successful sometimes, and disasters at other times. There is an instance I remember when he attempted to divorce nomadic Kurdish tribes from their wandering ways, as such introduce them to modern standards of living. This was good as an idea, but poorly applied, as such unsuccessful. The thought you just needed to put some elements together and the rest will follow prevailed. But then, though this singular act may have been a window into what was wrong with the mentality of the rulers pointing out the possibility much more could have been going wrong as a result, it showed Saddam wasn't a complete despot who wanted only to stay in power, by any means necessary. Ignoring this truth isn't just unfair but shows a bias towards him and, when the ignoring is done systematically by a body with normative powers in society, especially when there is little or no regard for context, then we can speak of an attempt to set an entire country up. This happens to be what the leading western media did to Iraq during Saddam Hussein's reign. Their portrayal of Iraq under his rule appeared carefully designed to have been keen on creating the impression the country was a clear and present danger to the world, and nothing else. The propaganda was so pervasive the average world citizen could hardly help getting the idea there was much more military menace or potential in the country than was the case in fact. As a result, when the "weapons of mass destruction threat" excuse allowed oil to be poured into the "Instant American Soldiers" packaging and the allies ran the country over in a short period of time, people could not help feeling surprise or disappointment at the ease with which this was done. The expectation had been that there would be much more fight in Iraq, more resistance, even when up against an enemy displaying a super power sticker. Defeat was considered a real possibility, but at the end of a protracted war, at least. What's more, Saddam, long portrayed as a hate filled maniac in possession of chemical weapons he longed to use on his hate objects, of which Israel and America are some, was expected to use them without reserve, especially as a last resort, which didn't happen. And so, in most people's eyes, an unexpected end came to Saddam's reign, and nobody could be faulted for thinking the man's military had a final plan, even if just an exit strategy for Saddam's sake. So thorough had the media propaganda been in effect many must have waited, even when the land had completely been overrun by western forces, for this plan to be put into action, sure, even till the point Saddam's absence had lasted too long for this to make sense anymore, it would come, and it would shock the world. But then we would all watch the leader thought to still have much that mattered under control get fished out of a hole, put on a bogus trial, then hanged. It is said he was hanged sooner than was planned or reasonable out of fear his large eyes on television would endear more of the women folk, as such turn sympathy, if not public opinion, his way. His hanging, done by hooded men who behaved too much like hired assassins, or rent-a-terrorists making a rehearsed performance, was watched the world over. This aftermath brought a lot of questions to the fore, many of which concerned the strange regime-change game those who had invaded the country were playing. Other questions concerned the country Iraq and its former leader, questions questioning what was believed before, questions pointing out an awakening from a brainwashed state induced by a media versed in deception. Had we all been so misled about Saddam's Iraq? Had it really been that necessary to commit an overkill of an invasion on what plainly was just another weak, backward third world country led by a paranoid simpleton with way too much power in his hands whose threat potential had deliberately been blown out of all proportions? Most important was the question of whether the threat potential he was so wont to play into was just part of the game, useful for villifying in order to justify full scale military invasion, whether the decision had long since been made that the country simply needed to be destroyed? 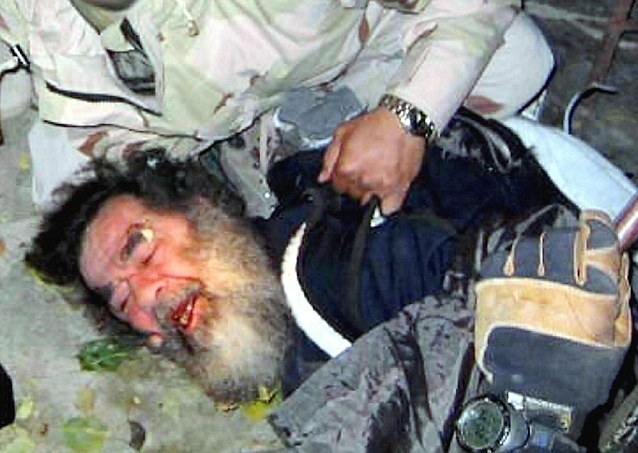 Looking back now, it is quite clear to see, by careful study of Saddam's activities while he was in power coupled with an in depth look at today's Iraq, that the man was in fact a third world leader ahead of his time. Saddam was far from the average ruler of a developing country who is told what to think of the ways of the dominant system and the ultimate intentions of its major players. He was not one to be bullied into accepting a role in this system handed down by the powers-that-be, to be told what measures to take in order to see economic progress, for instance. 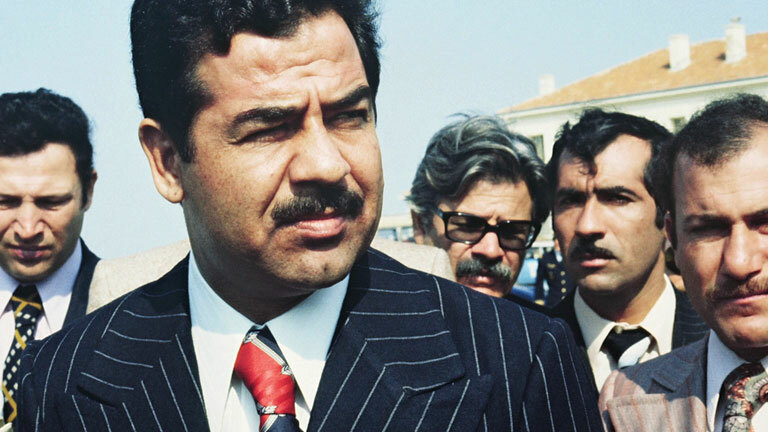 Saddam Hussein may have been too militant and daring for his own good but it is clear to see that his acts were those a given personality left with but a few choices would make. In my opinion, Saddam Hussein was aware and responding to western intentions for his country, and especially the massive deployment and reliance on technology to destroy people as such undermine regimes and communities in the third world. He was much more conscious of western manipulation of his country in this realm than would be the case with the average leader in this region and beyond. He knew his people were standing between a rock and a hard place where their well-being, maybe even survival was concerned, and his manner of responding to this fate may have been unique to his personality, but it was not wrong, nor singular. It is not by chance that we have witnessed similar stances towards western foreign policy in the middle east and elsewhere, right up to the acquisition of the nuclear bomb by North Korea that, arguably, has deterred full scale military invasion of this country and allowed North Koreans some breathing space. Suffice to say that what happened to Iraq was a fate very powerful players had reserved for the country that nobody, no matter how saintly a leader they were, could have saved it from. We can now be sure Iraq was going to be forced into its current state one way or another, slowly or quickly ... by bombs, germs, economic sabotage, incompetent puppet regimes, the constant behind-the-scenes use of covert military technologies to destroy key figures, etc. Another truth we can learn from Saddam's activities as leader of Iraq is that he did not obtain his knowledge of cutting edge technology from the discovery channel, which is, by default, always 30 years or so behind in time. An example that exemplifies this, and makes him stand out of the third world crowd of leaders, is the fact he dared build bunkers and hold important meetings in some of them, something some mildly conscious leaders will not do for fear of rubbing the powerful the wrong way. He definitely was aware he could be struck by a missile at any moment, especially towards the war period, but, given readily available information on bunker busting missile capabilities, and the fact he did not live in bunkers, we can surmise that the main reason he must have held his meetings in these structures was secrecy. He must have been conscious of technology that makes four walls useless for privacy, especially technologies on-board satellites, those eyes up above capable of seeing anyone anywhere, watching, listening ... eavesdropping technologies that can see through walls, technologies capable of picking up sounds 22 thousand miles away, and this by merely loading microwaves with vibrations made by sounds humans make in objects in their vicinity. Only bunkers built of materials that absorb sound and block out radio frequencies and are placed a good depth into the ground can effectively foil the best of these technologies. It is true that he once flirted with the same devil that would later topple him from power, but this could not be what brought about or justified the war that destroyed Iraq. He may not have been as principled as one would wish of somebody with his responsibilities, or as careful as would prevent attracting the wrong attention, but it is also the case that these traits could not have brought trouble to Iraq. This fact, in itself, justifies his paranoia. If we were to be fair in our judgements, then we would say Saddam's actions did not just speak of one contemplating the fruits of freedom from a subservient, insecure status in a western capitalist controlled world ... but of one brave enough to vigorously seek control of his destiny and security in a system like the one we live under, one who understood fully that freedom can never be given, but had to be taken, by force if need be, to be enjoyed fully, and that there are no two ways about this. His stance towards western foreign policy says this very clearly. And so it was that his awareness of western intentions and their actualization by worldwide installations of advanced technological devices, and other dubious means, dictated how he lived and also saw to the last choices he made before his capture. We know he took to routines designed to camouflage his exact location that were effective otherwise a cruise missile would have made a direct hit. Had he been ignorant of the state of western surveillance technologies, he would in most probability have found it safe to hide in homes. He might have been captured or killed somewhere in the desert, maybe while trying to cross a border. This would in most probability have been shortly after the invading forces had taken his country. When the dots are joined correctly, especially if we start from his chosen hiding place (from the hole dug into the ground), then go back in time, it becomes clear that Saddam, the most wanted man on the planet during the war that toppled him from power, who had definitely had moments where he was confident that his whereabouts were only being guessed at (that lasted some way into the war), did not see the need to run because he did not expect to be taken. Proof of this can be seen in the fact at one point, he is televised out in public, at the exact time period the allies were entering Baghdad. Progressively, maybe suddenly, he had to have realised that they were narrowing in on his location and he was cornered. Things obviously worsened to the point he realised he could not get far if he made a run for it. In the end, the option that remained was the one he took. He dropped down into the hole he would later get fished out of. The sequence of his activities leading up to the hiding place is a feat in itself to achieve considering the odds he was up against at that point in time. One has to understand how formidable western surveillance technologies can be when focussed on one spot to understand this. Evading the surveillance required that he not only knew the technology in use to seek his exact whereabouts, but also its limitations. It is to know from this that this man had matured sufficiently where the technological capabilities of the west are concerned, and also that he had selected his inner circle well. They may not have had access to hi-tech hardware to use for the purpose of foiling western surveillance efforts, but they were clearly knowledgeable and inventive enough to achieve this without advanced tools. They managed to keep a step ahead of the allies till the very end, as such exposing a vulnerability in the best surveillance systems ever made. Even when the solution they ended up with was a hole in the ground, they left the west clueless about the whereabouts of their most wanted man in a war zone. For Saddam, the hole was not the end of the road, of course. It was a temporary solution. I think he had what it would have taken to see his way to freedom had it not been for betrayal, or tagging. But then the chances he was betrayed by someone within the inner circle, or some other person who got wind of his whereabouts via this circle, by word of mouth or by tracking, are there but slim. There are too many factors that cast a shadow of doubt on this possibility. For starters, it is hard to imagine Saddam's most trusted people were betraying material considering the situations they had helped him survive. Also, it is to be expected of this event that the grapevine would have echoed with tales of inner circle betrayal. It has remained silent about this till this very day. There is also an empty space where a plausible story of what led to his capture should prominently have been displayed in the media, and in literature that has been written over the whole gulf war. Instead one only finds vague, unlikely tales about allied intelligence getting tip offs. There are no names, no heroes, no collectors of reward money, nothing. What all of this points to, as far as I am concerned, is the reality his capture had electronic tagging to thank, a fact western intelligence cannot divulge because they want to take advantage of this setup as much as is possible, for as long as it takes. The man, Saddam Hussein, could not have been tagged himself. He was not given to lavish escapades in western capitals, or elsewhere for that matter, where he would carelessly expose himself to situations required for successful implanting. It is in fact clear that he was free from electronic implants because he survived bomb strikes. Let's face it ... he had by then become the most sought after man worldwide, whose capture was seen as the seal that the military victory needed to be complete. He was too needed by the Americans as a result to have deliberately been left alive, free, growing a beard in a hole. One, or a number of his men,, the ones who knew where he was hiding, the ones trusted to bring him supplies and updates while he was there, was tagged electronically. The tagged person(s) may in fact have been the one(s) used to narrow in on his location at the time the country was being invaded. In the case of the hole, a simple review of the movements the tagged person(s) made could have brought up the odd spot, a location visited one too many times, or such. The tagged person(s) had to have had the tag(s) implanted as part of a massive covert tagging program in the west that I believe started in the late eighties and continues till this day. An electronic tag, surreptitiously implanted decades ago in some room in a hotel or student's hostel, in the west, in Iraq itself, or any other place in the world where opportunity gave, was all it may have taken to outwit this wily man by disclosing the unlikely hiding place he had picked.